Tune from A to A with a 30 in. scale. Squier presents one of its most distinctive instruments—the deeply resounding Vintage Modified Baritone Jazzmaster. Tuned A to A and featuring a comfortable 30" scale length, it lends a rumbling character to your sound, making it the perfect 'secret weapon'. With its comfortable "C"-shaped neck and modern 9.5"-radius fingerboard, this instrument offers a singularly exciting Squier playing experience. 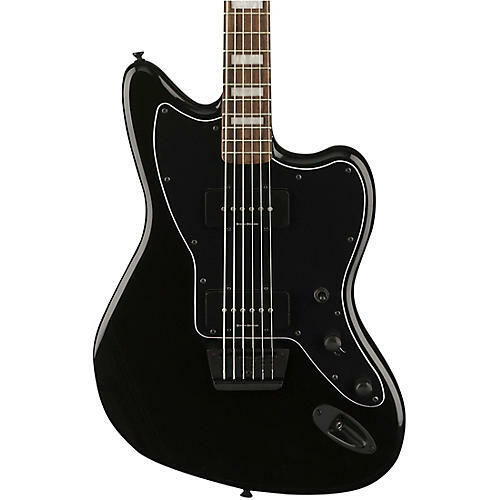 This Baritone Jazzmaster guitar’s 30" scale length adds low-end punch and thickness compared to a standard-scale guitar's sound, and puts its voice squarely between guitar and bass ranges. Elegant yet understated, a bound fingerboard is a timeless design element that imparts a touch of class. The dual Duncan Designed pickups on this instrument crank out plenty of full-bodied tone with ease. See how low you can go. Order today.